We don’t buy into the idea that all good things have to come to an end. 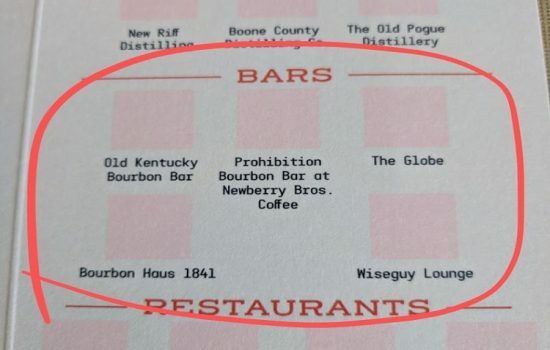 Once you’ve visited the three distilleries, five bars and four restaurants on The B-Line in Northern Kentucky, who says you have to stop? You’re more than welcome to keep coming back for more: New discoveries on and off menus await. For insider tips on the area’s fun spots, we asked four folks on The B-Line to reveal some of their hometown favorites. 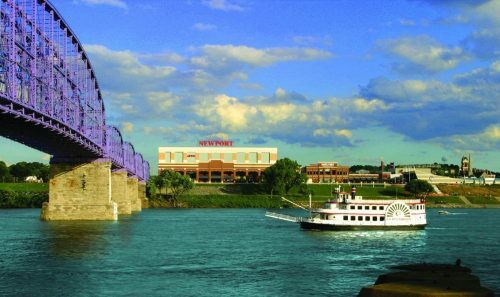 Newport on the Levee is the area’s No. 1 dining and entertainment destination for good reason. 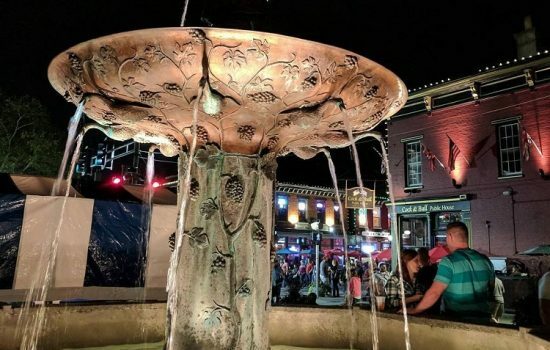 This hub of activities and eateries clustered together in a vibrant community on the riverfront is home to fun for adults and families, locals and visitors alike. Go bowling, play darts, get a fish spa treatment that will leave you with soft tootsies, enjoy the 20-screen movie theatre, play interactive games, treat the kiddies to a train tour, go shopping, or take in a special event. 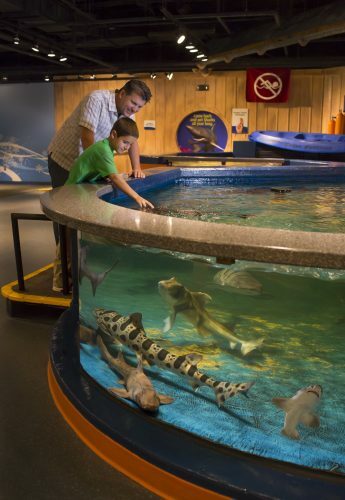 One popular must-see is the Newport Aquarium, a million gallon showplace for marine creatures. Don’t miss the only suspension bridge in North America where you can walk just inches above nearly two dozen sharks. You can also watch dive shows, interact with frogs, sharks, penguins, stingrays and seahorses. 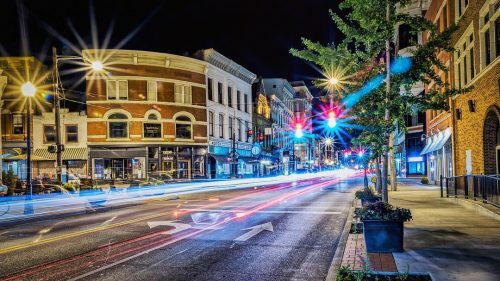 MainStrasse Village is a work, play, live and visit community that’s also on the National Register of Historic Places. Multiple bar and restaurant stops on The B-Line are located here, alongside other tempting options. This rich concentration of bars, eateries and shops lures residents and guests. You can schedule a food tour with Riverside Food Tours, and shop at boutiques that sell jewelry, art, clothing, records, toys, pet supplies, gifts and various oddities. 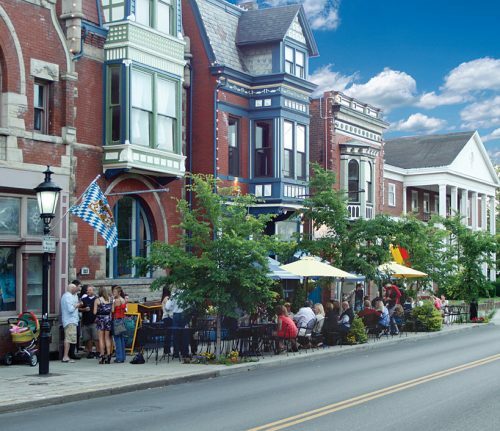 Over-The-Rhine, locally known as OTR, is another neighborhood packed with restaurants and bars. “Plus, the 19th century architecture is staggeringly beautiful!” says Dean. “There’s nothing like its nightlife scene—it’s one of the best bar districts in the entire city,” adds Rutkowski. 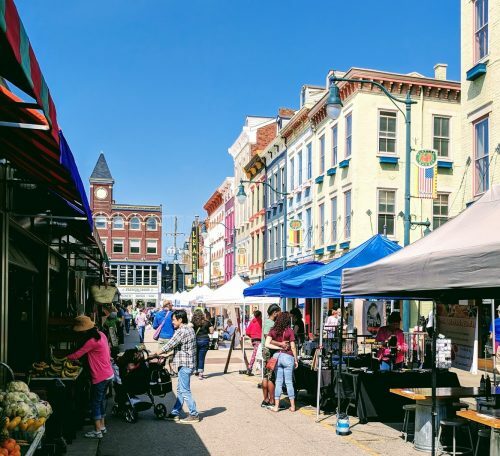 Located just north of downtown Cincinnati, OTR is also where to find Findlay Market, Ohio’s oldest continuously operated public market. The go-to place for fresh, local, artisanal and specialty foods, more than 40 merchants here sell fish, meat, poultry, flowers, produce, cheese, deli and ethnic foods. 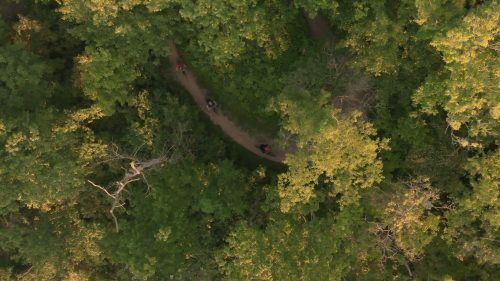 Devou Park is a 700-acre natural playground overlooking both Covington and Cincinnati. “I’m a big fan, it’s my go-to spot,” says Williams. It offers multiple playgrounds and picnic shelters, an 18-hole golf course, more than eight miles of mountain bike trails, a fishing lake, paved walking trails, and more. The amphitheater hosts events throughout the year including the Kentucky Symphony Orchestra’s concert series each summer. BB Riverboats hosts leisurely tours of Northern Kentucky and Cincinnati along the beautiful Ohio River. 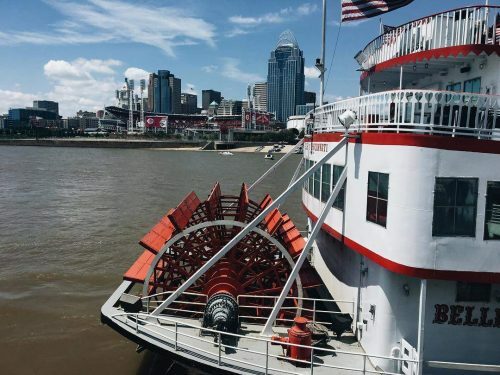 Hop aboard a historic riverboat for your pick among the array of different lunch, dinner, sightseeing, kid and special event cruises on the roster, or even charter a private tour. The three-deck flagship Belle of Cincinnati is the largest and most ornate excursion boat on the Ohio River. The smaller River Queen has an open-air covered top deck, a great option if snapping photos is your aim. “We just took a Dixieland jazz riverboat cruise for my dad’s birthday and it was really fun,” says Dean. Cincinnati Museum Center is several different museums housed together at Union Terminal, an Art Deco train station and National Historic Landmark that’s a worthy destination in its own right. Museums include the Cincinnati History Museum, Children’s Museum, Museum of Natural History & Science, and Omnimax Theatre. Temporary exhibits add new perspectives to the impressive permanent collections, continually attracting locals as well as visitors. 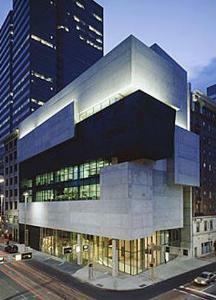 “The museum center is one of the biggest most iconic landmarks for the city,” says Rutkowski. Check the events calendar for educational programs, camps, public lectures, tours and cultural events. For a visual treat, head to the Contemporary Arts Center to see exhibitions and performances as well as special programs. There’s no permanent collection, so the displays change often. “There’s such a wide variety of art and something’s always changing to keep it fresh,” says Williams. Another eye-popping option is the Cincinnati Art Museum where a mind-boggling collection of more than 67,000 works cover a 6,000-year time span. 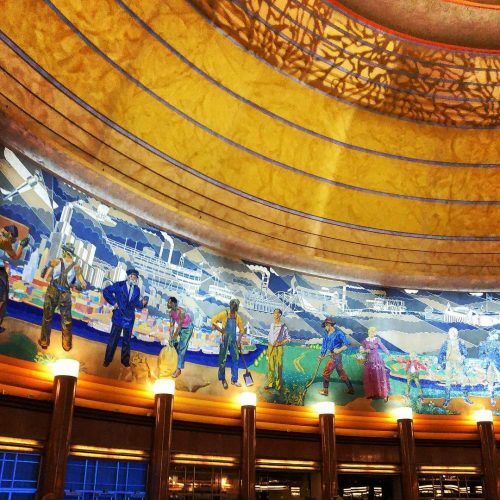 For a bird’s-eye view of the area, head to Carew Tower Observation Deck. 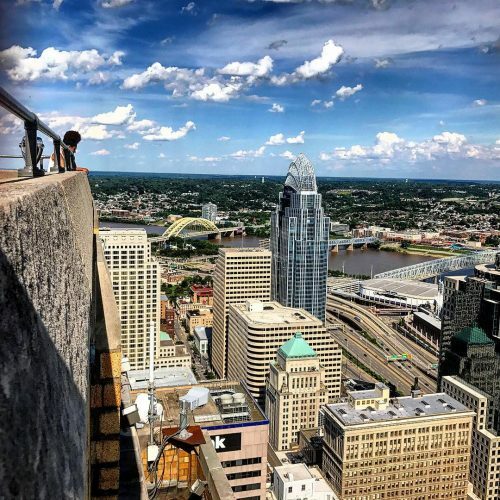 The 49th floor of the second-tallest building in Cincinnati offers panoramic views. “You can sit up there and look down at every angle of the city,” says Dean. Pick up a souvenir in the gift shop or any of the 25 shops inside the building where you can also find restaurants and a hotel. Cheer for our local professional sports teams: Paul Brown Stadium is home to the NFL’s Cincinnati Bengals, Great American Ball Park is home to Major League Baseball’s Cincinnati Reds, and FC Cincinnati (also known as West End stadium) is home to Major League Soccer’s FC Cincinnati team. Of course, when we think of sports we think of beer. 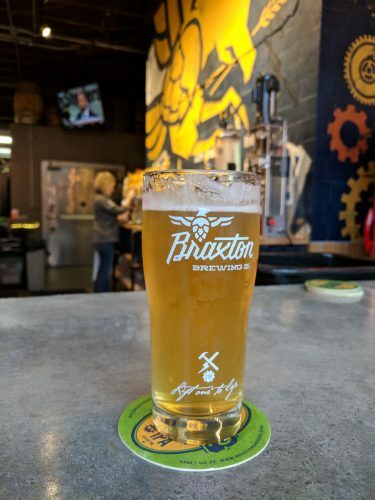 Braxton Brewing Co. is one local favorite craft brewer. 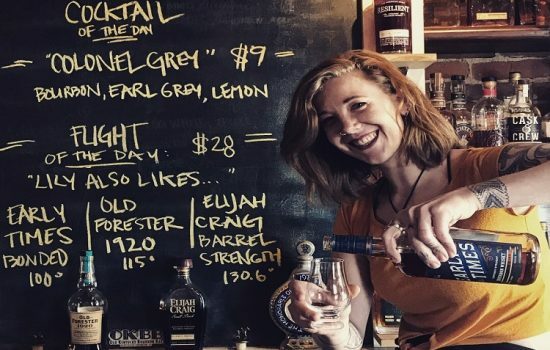 Order tasting flights and pints at the taproom in downtown Covington, which is a convenient walk to some of the stops on The B-Line…which is what brought you here in the first place and where you’re invited to continue to find your sipping point.